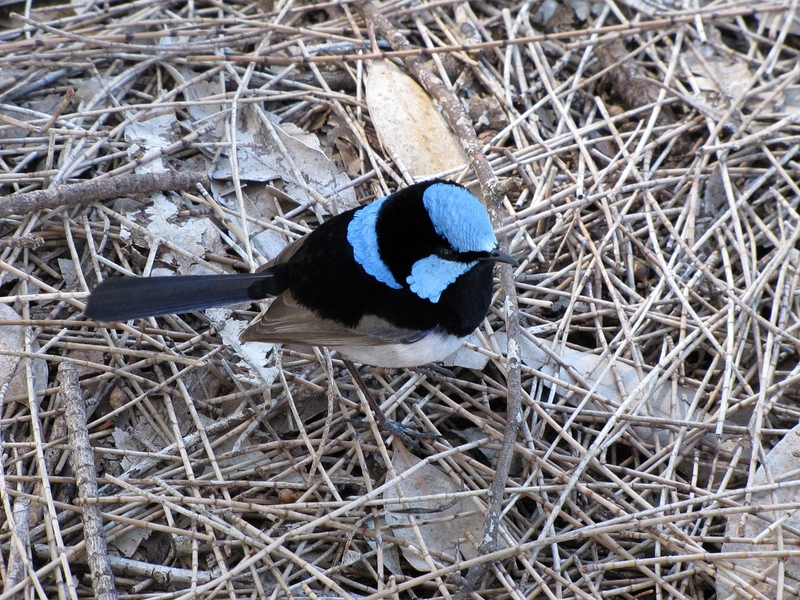 Two days ago I wrote about the birds we saw at the hippo enclosure when we visited the Western Plains Zoo in Dubbo recently. 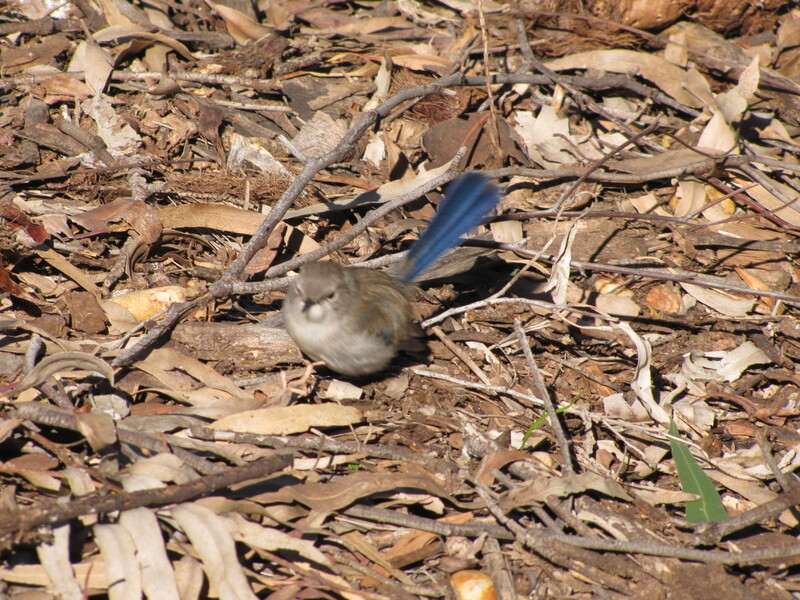 One species I didn’t mention was the Superb Fairy-wren because I wanted it to have its own post. 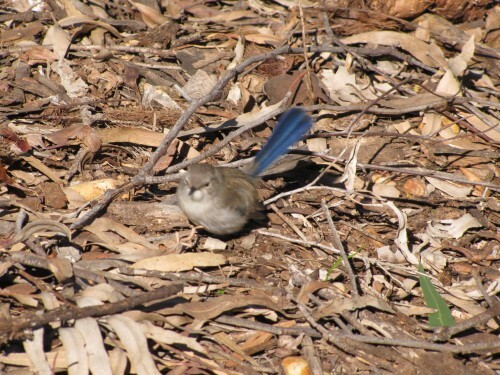 Today’s photos feature a male bird in full breeding plumage plus one shot of a female (see below). There were several birds, both male and female, hopping around the viewing platform at the hippo enclosure. I tried hard to get a few photos but they were constantly on the move. This is typical of this species; it makes effective photography a real challenge. 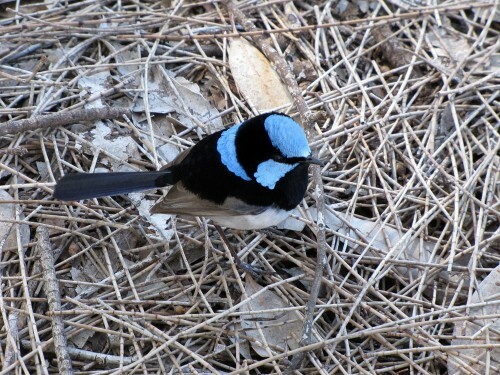 As we returned to our car – the open range zoo is a “drive yourself” experience – a male Superb Fairy-wren was fluttering around the car next to ours. The photo above shows him on the roo bar at the front of the vehicle. He was very agitated and ignored me only a metre or so away from him. He then flew many times at his reflection in the car’s window (see photo below). 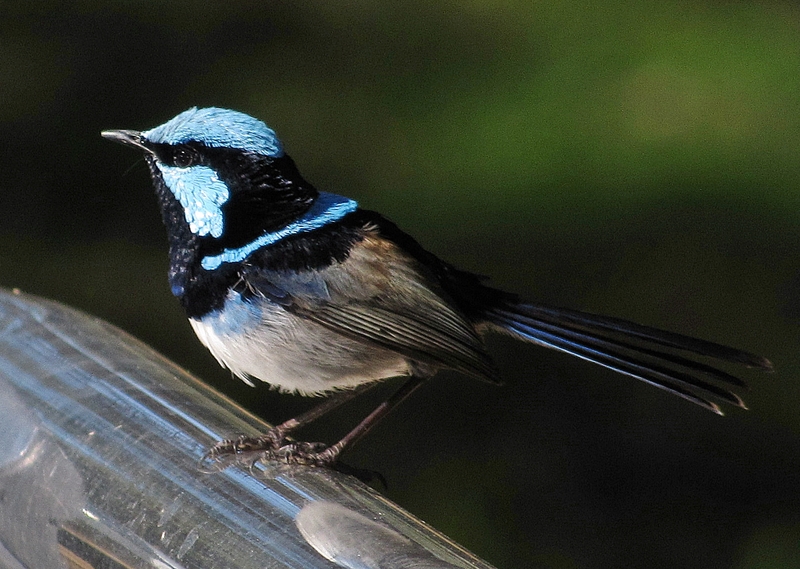 A number of Australian bird species display this aggressive behaviour. Thinking that their reflection is an enemy attempting to take over its territory, the male bird will attack its own image many dozens of times. Not only do they attack the reflection in the windows of a car, they can also be attracted to the outside mirrors, shiny hub-caps, shiny bumper-bars and any reflective surface. 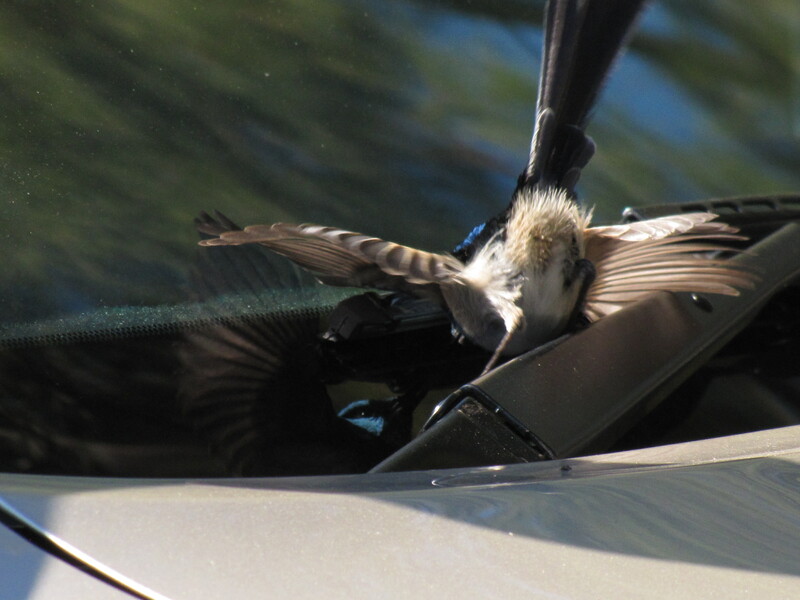 A few years ago our resident Willie Wagtail was attracted to the mirrors on our car. Day after day for periods up to a half hour it would attack the mirror, leaving a very unpleasant residue on each mirror in the process. 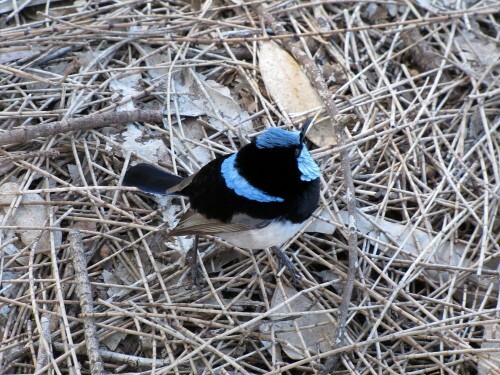 Some of the species which display this behaviour include Australian Magpies, Willie Wagtails, Magpie Larks, finches, honeyeaters, and ravens and crows. A few years ago we had a Little Raven in our garden which was annoyed by its reflection in our bedroom window glass. Every morning around dawn it would come and peck loudly on the glass. Being suddenly woken in this fashion at such an early hour was not very pleasant, and we were pleased when it moved on and no longer came knocking well before our normal time of rising. This post is #34 of a series called Great Birding Moments. I think the title is self explanatory. Sadly, it is over six years since the last in this series, so I think I will have to rectify that in the coming months. You can access a list of the articles by clicking here.